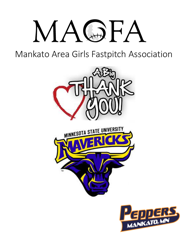 Mankato Peppers and Youth Softball Organizations Form a World Class Partnership!! 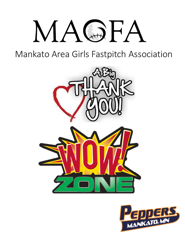 Southern Minnesota has long been a "hot bed" for fastpitch softball. 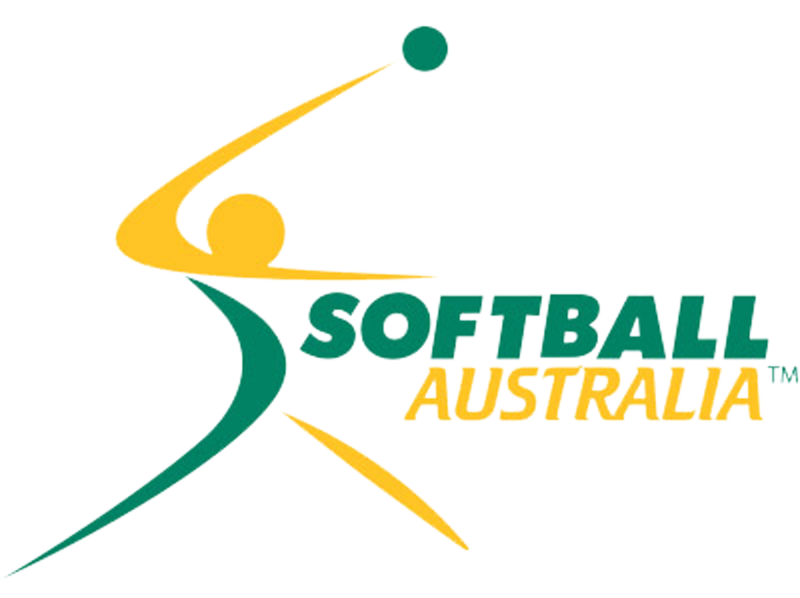 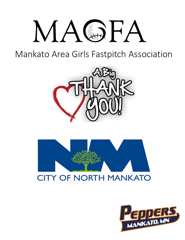 Highly competitive fastpitch teams such as Happy Chef, Junkers, Minnesota State University Softball, Bethany Lutheran College Softball, Gustavus Adolphus College Softball, Mankato Peppers, as well as the Minnesota State High School Tournament, and Caswell Park have all contributed to make Southern Minnesota a regional, national, and now globally known area for the sport of fastpitch softball. 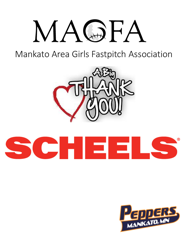 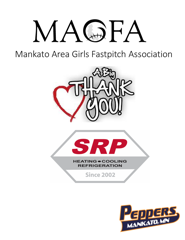 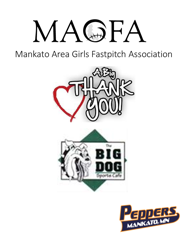 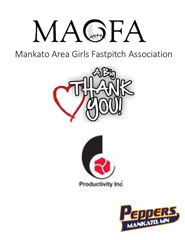 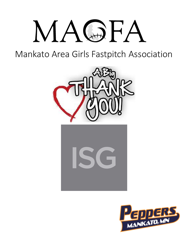 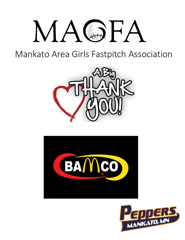 The Mankato Area Girls Fastpitch Association - Peppers - thanks our organization and event sponsors. 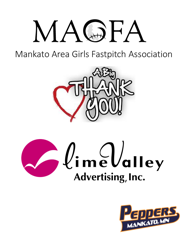 We encourage all our members and friends to visit our sponsors to let them know how much the girls value their support.